We all want to save money on our current and future energy bills, right? We all want to reduce our carbon footprint, right? Financially, and morally, it is the correct thing to do, but what is stopping us? The two major obstacles, according to Cori Calvert, CEO of a new ESCO (energy services company) on the Irish market, Glas Éireann Solutions, are lack of awareness, and lack of expendable capital. 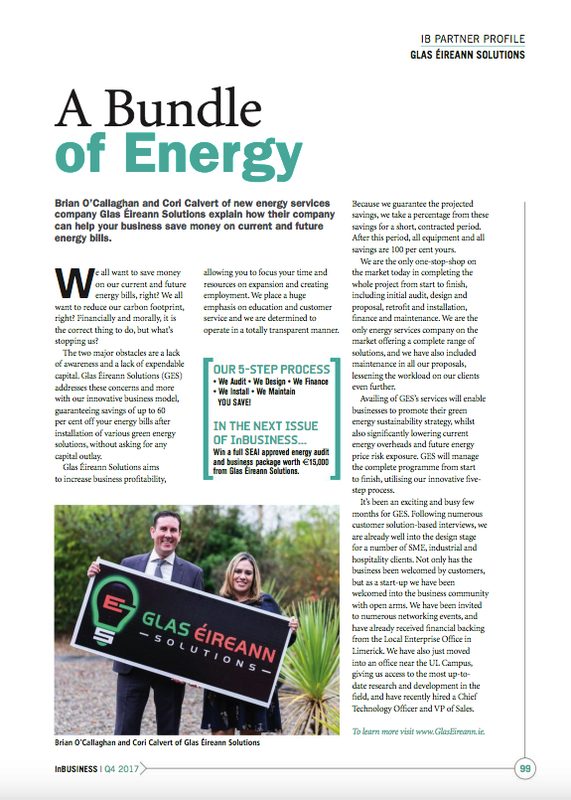 Cori, along with business partner Brian O’Callaghan address these concerns and more, with their innovative business model, guaranteeing savings of up to 60% off your energy bill after installation of various green energy solutions, without asking for any capital outlay. “I was on a girl’s holiday here in Ireland, and I noticed that there were opportunities for businesses to decrease their energy spend each month with just a few simple fixes.” It was something Cori was an expert on. As a Managing Director of a United States Federal Government natural resources conservation agency, Cori oversaw the implementation of over 400 energy performance contracts (EPC) including VFD, solar panels, and small wind technology to SME’s in the US and Caribbean. Brian has over 20 years experience of SME ownership under his belt. It was against this backdrop, that Glas Éireann Solutions was born. By availing of the services of GES, it will enable businesses to promote their green energy sustainability strategy, whilst also significantly lowering current energy overheads and indeed future energy price risk exposure. GES will manage the complete process from start to finish utilising their innovative 5-Step process. 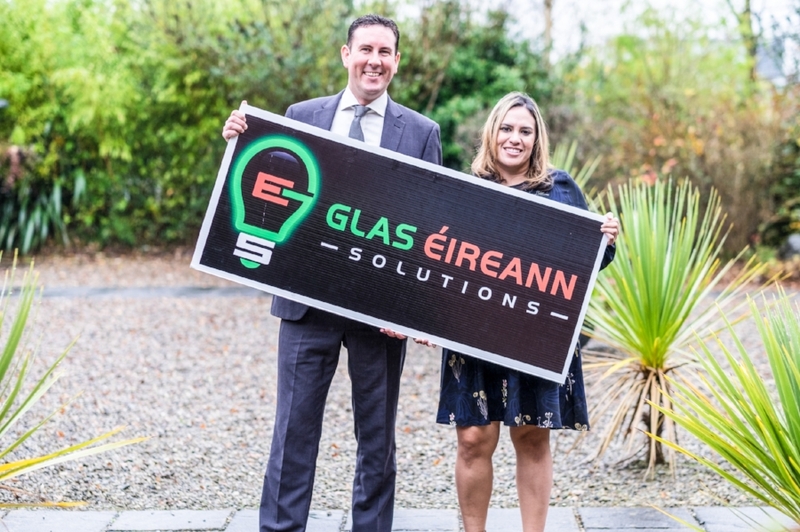 On behalf of all businesses out there wishing to decrease their energy overheads, whilst also reducing their carbon footprint, we wish Glas Éireann Solutions every success. To learn more, please see www.GlasEireann.ie. Click here for the magazine article.